I’m so sorry for your loss, but since you have her wheel, you will feel her presence when you use it. Melinda, I am so sorry for your loss of a dear friend. What a wonderful idea to use her wheel. Hugs! I’m very sorry for your loss. But it’s such a beautiful idea to celebrate her life and memory by spinning. And the colours of the fleece are gorgeous! I’m so sorry for your loss, Melinda. The loss of a dear friend is never easy. May you think of her peeking over your shoulder as you spin, encouraging you to make beautiful things while remembering her fondly. So sorry for your loss! I’m sorry to be so late with my condolences–a summer away from regular wifi is my only excuse. 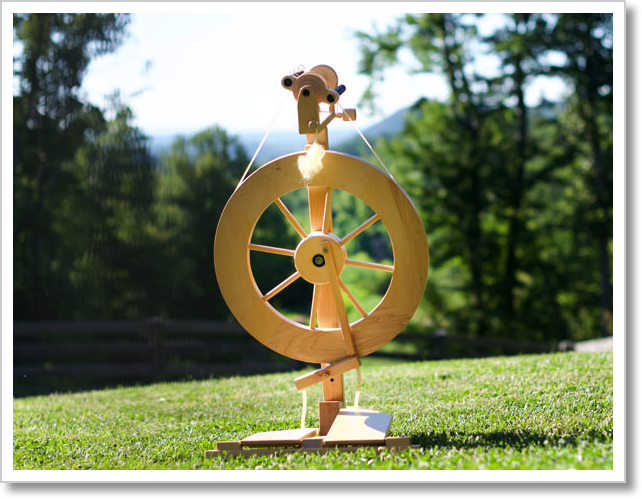 You will make some beautiful yarns with this wheel and it will be a true tribute to your friend. Thinking of you!